We would like welcome you to visit us at our showroom in Franklin Lakes, NJ for a free demonstration and consultation on the latest entertainment and security technologies. Bring your favorite CD or DVD for the ideal reference. The professionals at the Audio Visual Design group can properly analyze your entertainment needs and the environment in which they will exist with over 50 years of combined audio/video experience. Our teams can create a customized home entertainment system at the most competitive prices anywhere: COMPLETELY INSTALLED! Even beating the do-it-yourself mega-stores. Today's entertainment electronics can no longer be purchased in a simple trip to the local electronic store and packed into the trunk of the family car. Nor can they simply be removed from the packaging and plugged into the nearest outlet. 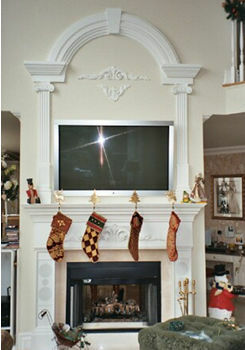 The benefits of a custom designed system from the friendly and knowledgeable staff at the Audio Visual Design Group! Quality Home Theater Design and Installation is both a Science and an Art form! 1. FREE CONSULTATION: Our design staff will personally consult with you in order to design the ideal entertainment system for any environment or budget. Our staff will ensure you understand all the functions and features of all factors and equipment that are relevant to the entertainment system you desire. 2. PLANNING AND DESIGN: Our design staff understand the different needs of different customers and the different environmental and acoustical factors which must be taken into consideration when designing the highest quality entertainment system. 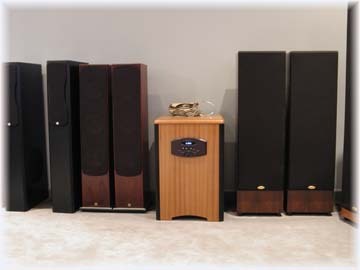 We will return to you a proposed plan to meet your needs, whether it be the least obtrusive system possible or the finest quality hand crafted speakers and components designed specifically to match your desired decor. 3. INSTALLATION: Our professional and career A/V installation teams will hand deliver and completely install the desired equipment. All systems and equipment will be thoroughly tested and painstakingly fine-tuned for the highest possible quality and most accurate reproduction of source material. 4. SERVICE and MAINTENANCE: These are the services you will receive nowhere else. The Pro-Tek Audio Visual Design family prides itself on its personalized customer care and the enduring commitment to the satisfaction of our customers. As we make a life-long commitment to our products and our services that extends to our customers, we always welcome your continued questions and feedback. By developing a personal relationship with our customers we understand their needs and ensure their desired results. We will ensure you understand the equipment that has been installed and will walk you through techniques to optimize the quality and ease of use of the systems that we install. service marks of ProTek Security - Audio Visual Design.